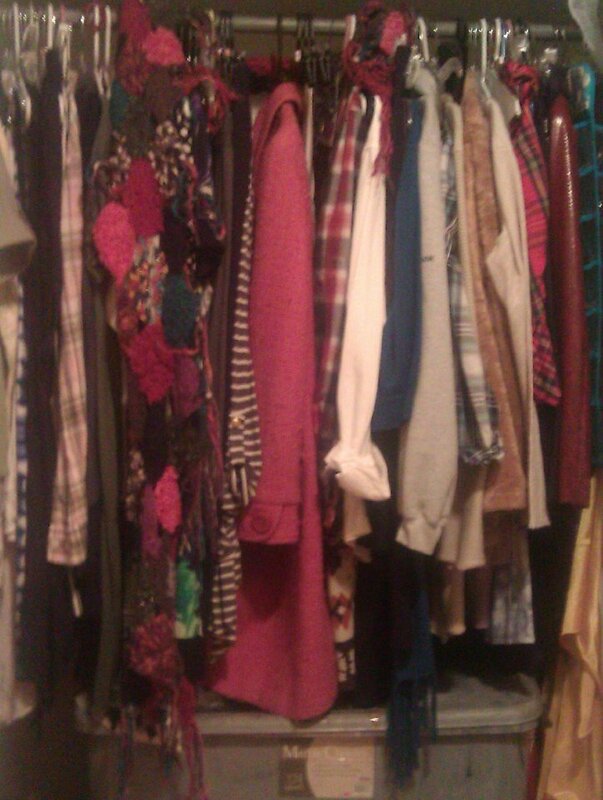 PHOTO DAY TWELVE-MY CLOSET, WHO CARES? & LOOK, THE GRAMMPAS ARE ON. I really wish people would comment. I need feedback my friends. I am starting to find this photo a day gig a little annoying as I am sure my two readers are also. I am the type of person who is bothered if I stop reading a book even if I hate it and that is the point I am at now with this project. Some days have been fun but my closet? Open the door and snap, I mean a closet is a closet unless you are a rock star or rich like one. I will admit that this photo had some surprises for me. If you had asked me to describe my closet I would have told you it was black and boring and certainly not worthy of a photo. Turns out, it is pretty darn colorful and I’m sure everyone is impressed. This Grammy stuff is awful. I never liked the Beach Boys, they literally hurt my ears. McCartney is old and still singing the same old tired stuff. You know, there is a whole world of good music out there if you look for it but turns out most people are too lazy. I have observed from hanging out in dive bars that the vast majority of people never move past whatever was popular the year they graduated from high-school. I am telling my age but I remember when FM radio was the rebel, the place to hear new sounds; then advertising and corporations ruined it. If I were really, really rich, I would have a radio station that completely ignored ads with the exception of public service announcements and played a rich variety of music that would NEVER include the Beach Boys. A fool and his money and all that. Oh, here is my closet. This entry was posted in Uncategorized and tagged Beach Boys, closet, FM, grammys, radio. Bookmark the permalink.